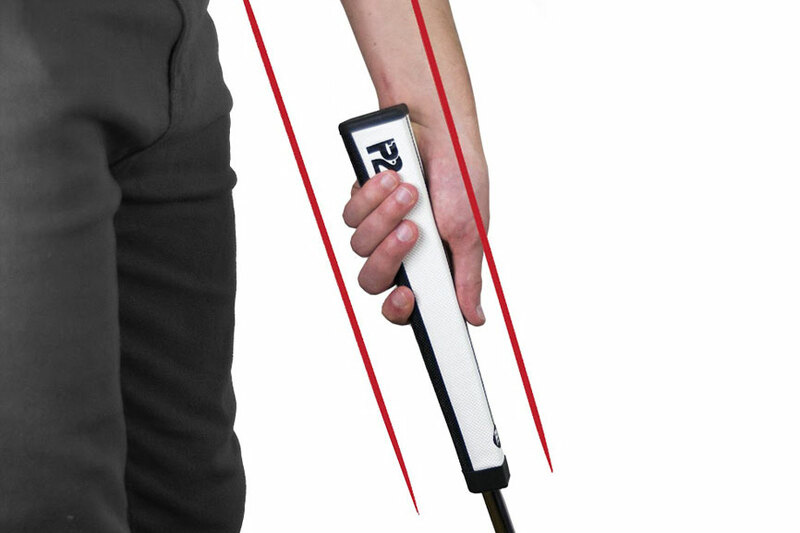 The revolutionary P2 Putter Grip is scientifically proven to improve your putting... Period! 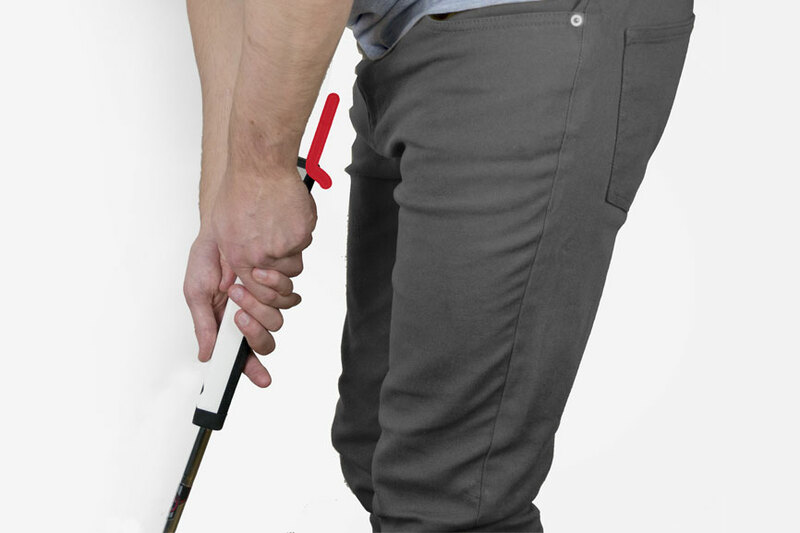 The Most Innovative Putter Grip to Reach the Market. 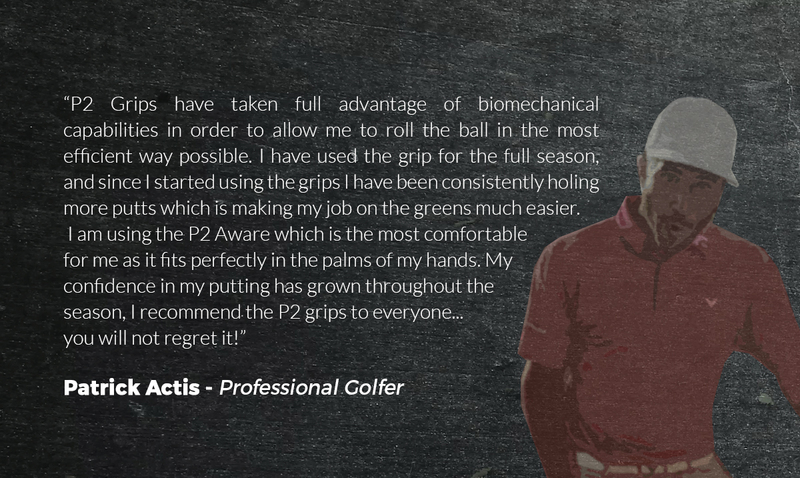 Scientific studies have shown the revolutionary P2 Putter Grips will IMPROVE YOUR PUTTING... PERIOD! The P2 Grip is receiving international attention. Unbiased Biomechanical Testing by Quintic Consultancy Ltd. The patented P2 technology is based on the way the shaft is housed through the bottom of the grip. This effectively elevates the golfer’s hands at address, locks the wrists in place and creates sought after shaft-forearm symmetry. • More putts start on your intended target line. • More putts are struck closer to the sweet spot. • Drastically improves distance control calibration. 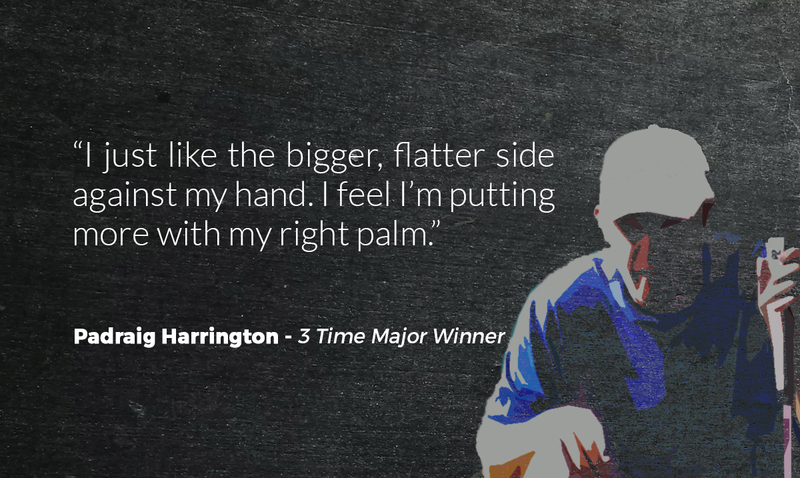 • Less club face wavering during your putting stroke. 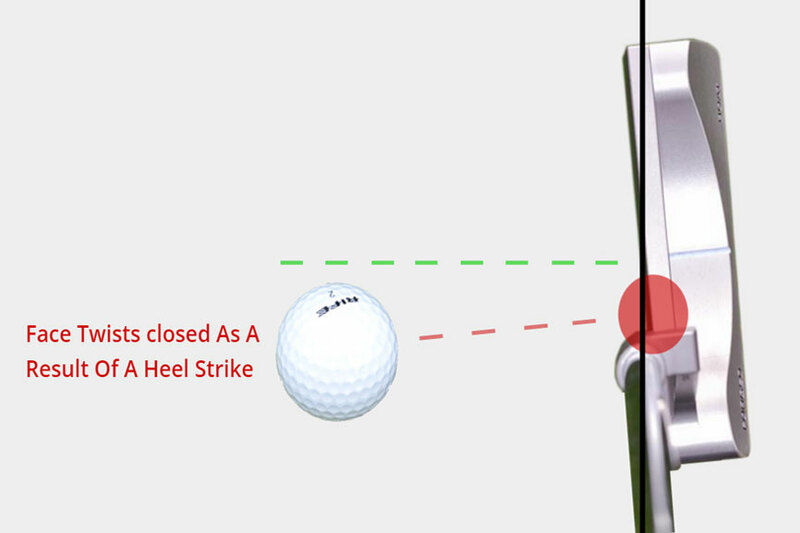 • Reduced hook/slice spin imparted on your golf ball. Create a flush line between your putter shaft and lead forearm. The putter feels like a continuation of the lead arm giving you more control. This helps you lock your wrists into proper position and prevents any unwanted movements by your hands during your putting stroke. 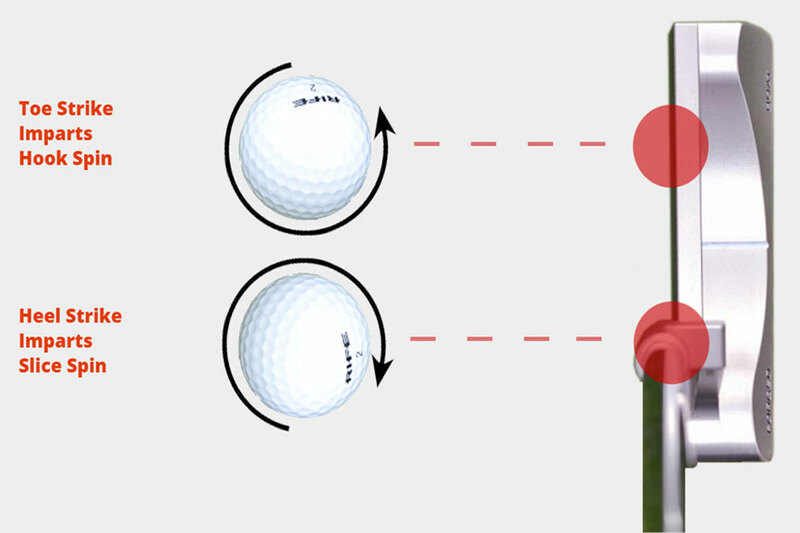 Tests on golfers using high speed cameras with the unique Quintic Ball Roll Video Analysis software. All golfers have varying skill levels and capabilities, some golfers while putting over rotate and close the putter face, and some golfers under rotate and open the putter face. 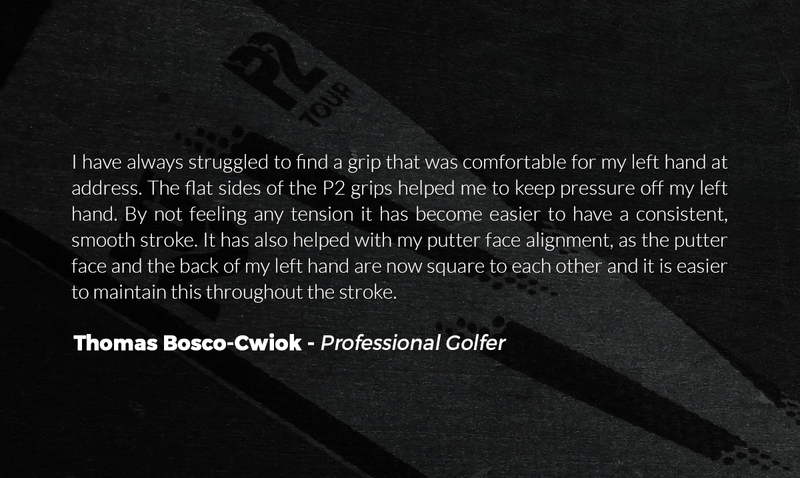 P2 will help to address both issues and aid your putting stroke regardless of which tendency you currently have. 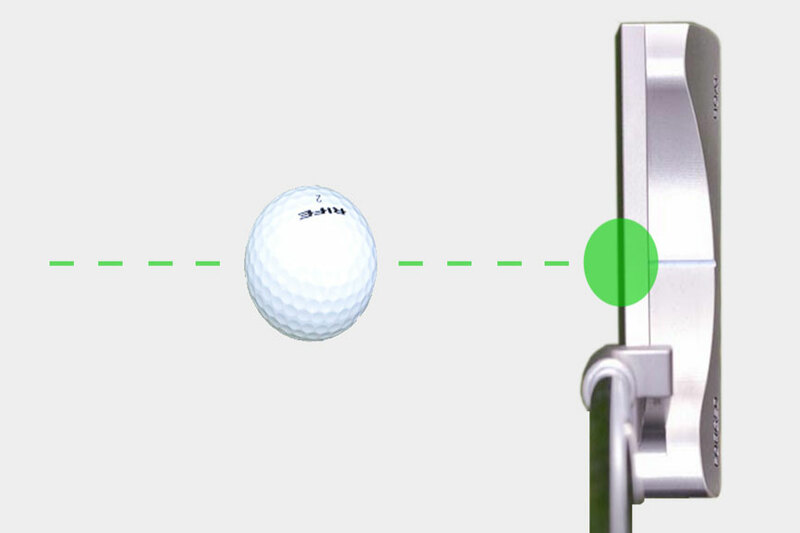 83% showed less face twist at impact, equating to a more centred strike for the P2 grip compared to a standard grip. Overall, golfers showed an ability to strike putts closer to the sweet spot on a regular basis. A unique feature of the P2 lies in the way the shaft is inserted into the grip. 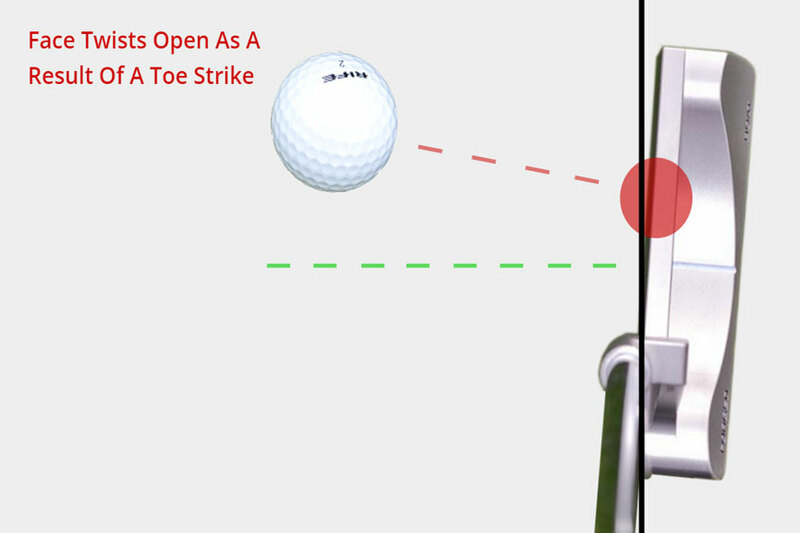 This feature elevates your hands at address which creates a flush-symmetrical relationship with the shaft of the putter and forearm which deters clubface wavering. Less hook or slice spin on putts. Hit putts closer to starting line. Purchase Your P2 Core Model Now. The P2 Core Range has the same revolutionary patented technology (bottom shaft housing) as our P2 Tour Range but are weighted on the heavier side.  Purchase Your P2 Tour Model Now. The P2 Tour Range has the same revolutionary patented technology (bottom shaft housing) as the P2 Core Range, but with tour preferred weighting.